Owner financing is when the seller of a home lends a buyer the money to purchase it. The two parties sign a promissory note, which is a signed contract that requires the borrower to pay back the lender by a specified date. It is very similar to renting a property, in the way that the buyer pays the seller every month. However, the seller no longer has to pay homeowners insurance, property taxes or maintenance fees. Unlike rent to own, the home belongs to the buyer. In this arrangement, the seller takes the place of a bank in a conventional mortgage. If the buyer stops making monthly payments, the seller does have a claim to the property because the property is collateral for the loan. Like all types of loans, owner financing starts with a down payment. Some sellers might accept less than the conventional 20 percent. Other sellers will ask for more as a result of leniency in other typical types of requirements like credit score, job history and income. Typically, the buyer and the seller sign a promissory note. A promissory note is a promise the buyer makes to the seller to pay back the purchase price by a specified date. The specified payment date tends to be shorter than conventional mortgages. While conventional mortgages last 10, 15 or 30 years, owner financed deals usually last 5 years. At the end of the 5-year period, there’s a balloon payment, meaning the cost of the home is due in full. Your payments throughout the 5-year period won’t be enough to pay off the loan. You will either need to come up with the full cost of the home or refinance your home. You can either refinance with the seller again or refinance with a conventional mortgage. Is Owner Financing More Expensive? Owner financing is more expensive than traditional financing. Owner financing often has a higher interest payment than conventional mortgages, which accounts for the increased cost. That’s because owner financing typically takes place when the bank deems a buyer unqualified for a loan. When a financing deal is riskier, interest rates are higher to compensate for the increased risk. Owners also don’t have the kind of insurance that banks do. There’s less protection for them if the deal goes wrong. As a result of the risky loans that caused so many people to lose their homes during the market crash in 2008, the government has imposed stricter regulations on no-income verification loans, balloon loans and adjustable-rate mortgages. This regulation is called the Dodd-Frank Act. It was put into place to protect consumers from predatory lending practices. This Act doesn’t impact small-scale seller financing deals. It does affect sellers who are financing more than one home purchase. The U.S. Commodity Futures Trading Commission offers more information about the Dodd Frank Act. At the end of a lease-option deal, some buyers are unable to qualify for conventional mortgages or FHA loans. When a buyer cannot secure financing, they're unable to purchase the property at the end of the lease term. Unfortunately, that often means the end of a rent to own deal. However, the buyer and the seller have already developed a relationship built on trust throughout the lease term. Therefore, owner financing could be a successful alternative. With owner financing, the owner can still benefit from the sale of the property and the buyer doesn't lose everything that they've invested in the rent to own deal. Plus, the owner can make additional money from the interest charged on monthly payments, and the risk isn't for an extended period of time because of the balloon. If you’re interested in owner financing, consider reading our seller financing tips for buyers or our seller financing tips for owners. 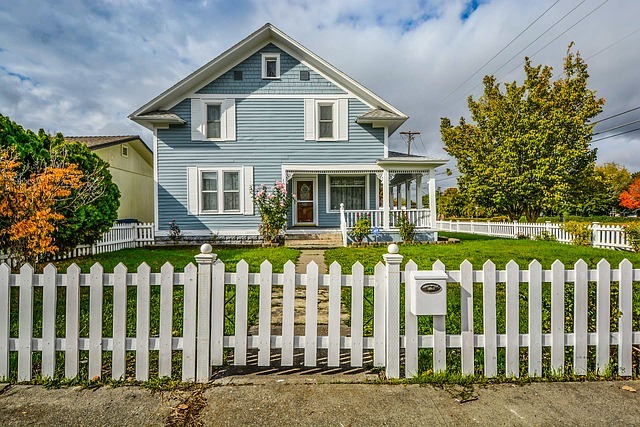 Real Estate Home with Picket Fence by Kirk and Mimi is licensed under CC0.